I got a chance to meet Duff L Bagg, a fellow friend and Florida levergunner from the leverguns forum . Larry had come up from Florida to visit relatives and I was anxious to meet him. It was a rainy cold November day and the weather didnt cooperate with us to well but it was still a fine day for some good conversation, hot coffee , and friends and leverguns. Larry brought an assortment of goodies with him for our shooting pleasure.I got to try out two cartridges I had never shot before. The .375 Winchester (introduced in 1978)and the .41 Reminton Magnum(introduced in 1964). 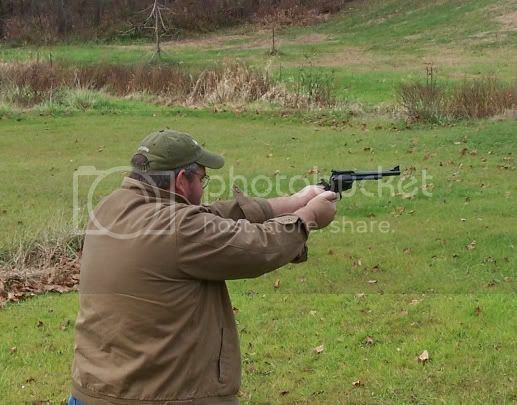 The Ruger blackhwak chambered in .41 Mag was a pleasure to shoot with the 210 grain Hornady XTP's. 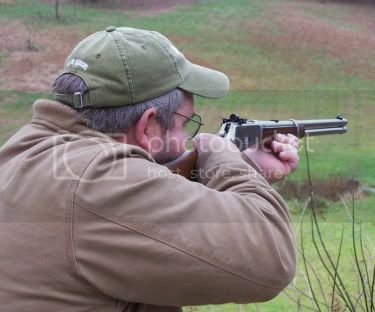 It was also the first time I had shot the .375 Winchester cartridge. 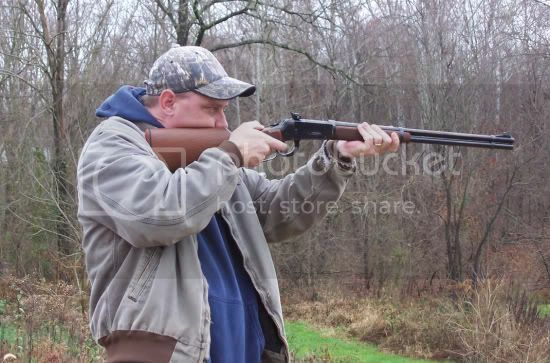 Pictured is a Winchester 94 chambered in .375 Winchester. 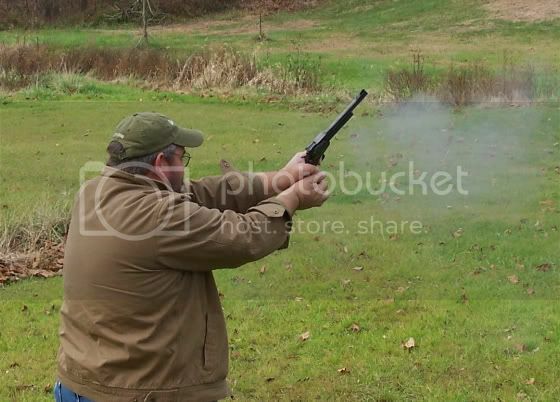 Larry also brought his Marlin 1894cb chambered in 44Mag. 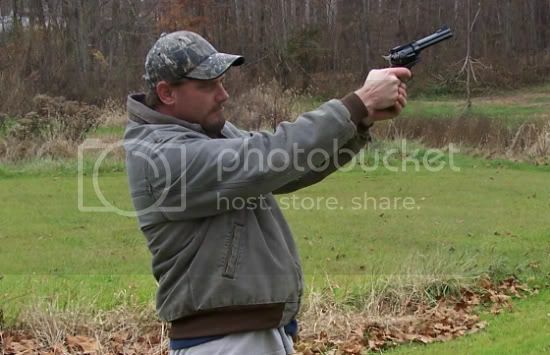 We also shot Larry's Ruger Blackhawk chambered in 45 colt. 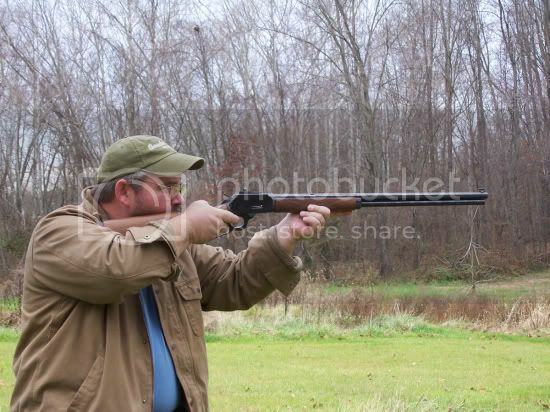 It was a hoot to shoot although recoil was stiff with the 300 grain cast bullet hunting loads. Larry is a kind, generous, and funny guy and it was a pleasure meeting him. It was a fine day for friends and leverguns. Till the next time Larry.